Members of the All Progressive Congress (APC) in Sokoto State have before now accused the Sultan of Sokoto of open partisanship in support of the People’s Democratic Party (PDP) gubernatorial candidate in the just concluded election. They also accused INEC officials of colluding with the incumbent governor and security agents to manipulate the election. 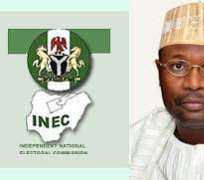 Professor Mahmoud Yakubu, INEC Chairman’s visit, to the Sultan yesterday around 12 noon, of which he stayed for over an hour, is not only disturbing but proving the APC allegations right. What was Professor Mahmoud Yakubu doing having a meeting with the Sultan when he fully knows the position of the opposition regarding the just concluded election? The INEC Chairman’s hobnobbing with the Sultan at this period is not only unwise but suspicious. We all know the relationship between the Sultan of Sokoto and the Governor Tambuwal led administration. Sometimes in July 2018, Nigerian media splashed its headlines with the story of purchase of a house for the Sultan of Sokoto in Abuja by the Sokoto State government which was worth N700 million. The purchase was done discreetly and when it was exposed because of the huge money transferred for such transaction, the Sokoto State government quickly tried to defend it by issuing a statement of getting a bequeathing house for the Sultan to be comfortable anytime he is in Abuja. Such is the romance between Governor Aminu Waziri Tambuwal and Sultan Muhammadu Sa'ad Abubakar III. This is why INEC Chairman’s visit to the Sultan of Sokoto, in this period bothers some of us. What is more worrisome is that this visit was not discussed by the media. I have gone through all the notable media websites in Nigeria and not seen this visit reported. I believe the INEC Chairman has some explanation to make concerning this visit to the Sultan as this action definitely makes the opposition in Sokoto State uncomfortable.